Caring for your newborn and your baby can be one of the most blessed yet nerve-wrecking moments. Knowing and learning how to dress your baby, what to feed them, how to take care and bathe time are all things you learn in time. 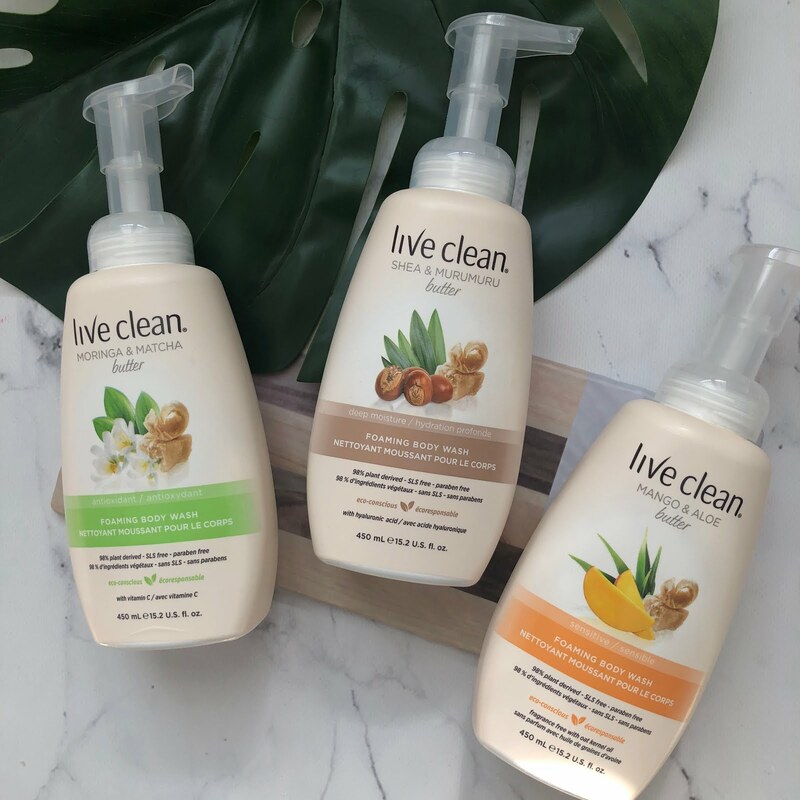 If you are a reader of my blog, you will know that I have been a user of Live Clean products for a while now, and naturally when I was pregnant and researching bath products for my little one, Live Clean was one of the brands that consistently popped up. 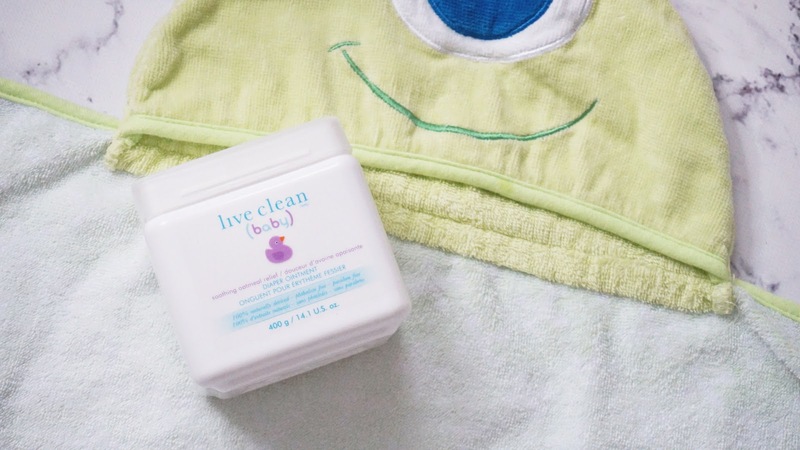 I have gone through my fair share of sample products through various baby sample kits that were sent to me, but honestly Live Clean was one that I loved. I had actually purchased everything for my baby before I was contacted by Live Clean to do any type of product review for them, that's how you know that I was a fan of their products. To start off, I have listed below the products I like to bathe my baby in, what to moisturize him with and then what I like to use for extra protection in the bum area. So if you're interested in reading about it, plus how to enter the GIVEAWAY, then keep on reading below! 1. Gentle Moisture Tearless Shampoo & Wash - made with purified water and enriched with certified organic botanicals of chamomile, lavender and aloe. 3. Calming Bedtime Bubble Bath and Wash - contains lavender, jasmine, vanilla, chamomile extracts and essential oils like natural coconut and safflower. The reason I have three different washes is really just depending on the situation - most times I like to use the Gentle Moisture Tearless Shampoo, however if Ethan has a diaper rash or maybe just drier skin, I like to switch it up to the Soothing Oatmeal Foaming Wash. If bathtime is before bed, then of course we go for the Calming Bedtime wash (which is my favorite), the scent is just so soothing and relaxing! 1. Gentle Moisture Baby Lotion - contains certified organic botanicals of chamomile and lavender for soothing and natural emollients like aloe to gently moisturize your baby's skin. 2. Burt's Bees - Nourishing Baby Oil - this is a 100% natural baby oil that smells like juicy apricots. It is rich in nutrients and antioxidants from apricot and grape seed oils to continuously keep your baby's skin soft and supple. This contains no synthetic fragrances, phthalates, parabens or petrolatum. Soothing Oatmeal Relief Non-Petroleum Jelly - this contains no petroleum and instead is a preservative and fragrance free unique petrolatum formulation that is almost like a thick moisturizer (not sticky at all) and helps to protect the baby's bum from any diaper rashes. I have sometimes forgotten to apply this and my baby gets an irritation, when I consistently apply this it keeps any diaper rashes at bay. And now onto the GIVEAWAY!! 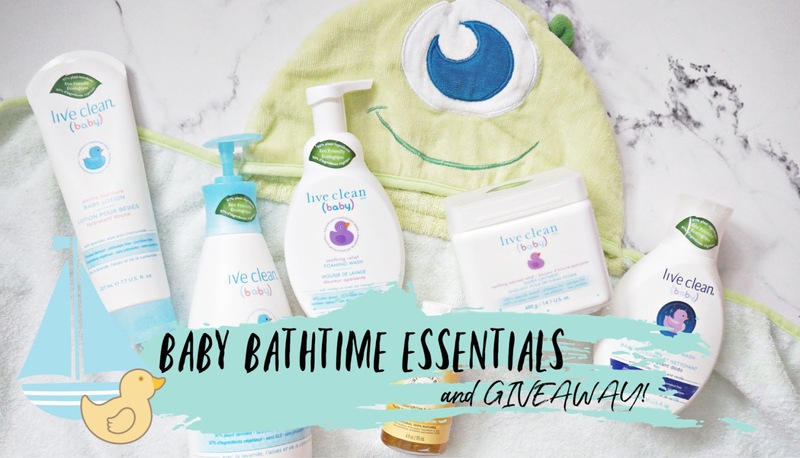 Live Clean has graciously provided my readers with a chance to win the below prize, which is a six-piece set of Live Clean Baby Products in either the Gentle Moisture or Soothing Oatmeal Relief formulas. It includes the: Tearless Shampoo and Wash, Baby Lotion, Diaper Cream, Non-Petroleum Jelly, Baby Wipes and Diaper Kit. (The approximate retail value of the prize is a value of $42). 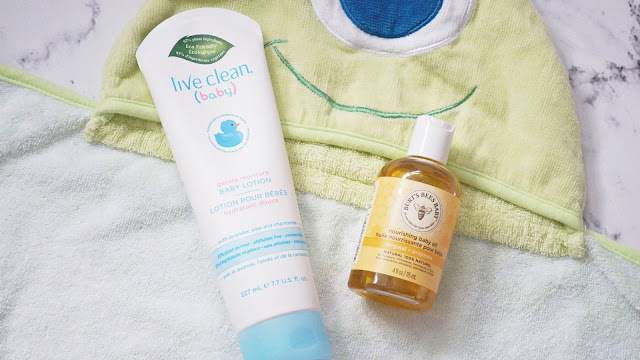 Side Note: For those of you who are not familiar with Live Clean Baby products - they have two separate formulations as mentioned above in the giveaway details. Their Gentle Moisture, which is for those with normal skin, is enriched with Chamomile, Lavender and Aloe - their products are marked by a BLUE Rubber Duckie on their logo. Their second formulation, is the Soothing Oatmeal Relief, which is for babies with dry and sensitive skin and it contains natural Colloidal Oatmeal, Lavender and Chamomile is shown with a PURPLE Rubber Duckie on their logo. Their products are made for baby's delicate skin, and is plant and natural based containing certified organic botanicals. Their products are also said to be earth conscious and eco-friendly. 1. Please do not follow just to unfollow, it's unkind and dishonest! I will be checking if you have followed both accounts when the winner is selected. 2. Giveaway is open to Canadian Residents Only! 4. Prize pack is not mailed out by me, but I will be facilitating with the process with the winner. Absolutely love their products for the whole family!! I used their stuff for my skin too!! I haven’t gotten a chance to try all of their products yet other than their diaper creams which are amazing! Thanks for the great info! I actually haven't used Live Clean products, but I have some friends who love them. And can I just say how Cute that Mike hooded towel is? Love it! Thanks for the opportunity Hun! 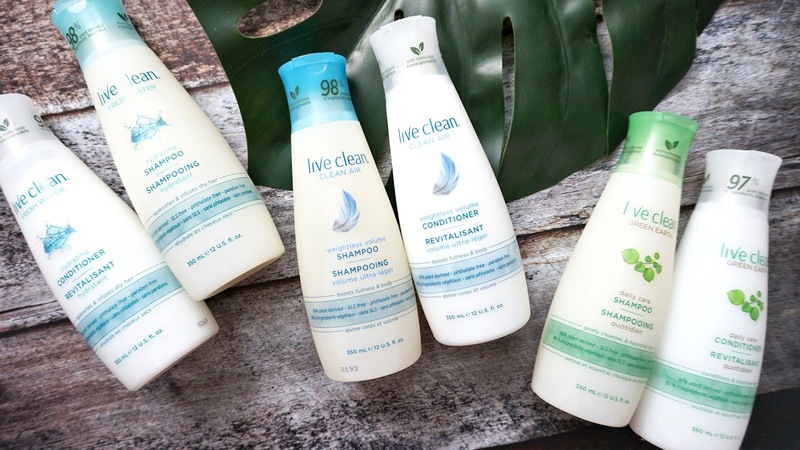 I've loved every Live Clean product I've tried. Both of these baby lines sound incredible!